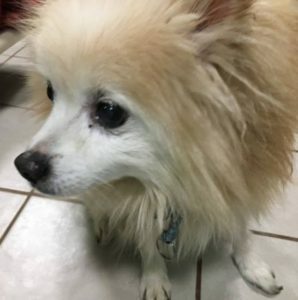 Additional Notes: MALE: Pomeranian, senior, blond coat, white on face, wearing a faded collar, very nervous and timid. Found roaming on Nov. 28/18. This dog is safely in the care of Lunenburg Animal Control Services.